Although it took 482 years, the Lutheran Wold Federation and Catholic Church did come to terms with their differences in a Joint Declaration on the Doctrine of Justification (JDDJ), in which a common understanding of our justification by God's grace through faith in Jesus Christ." 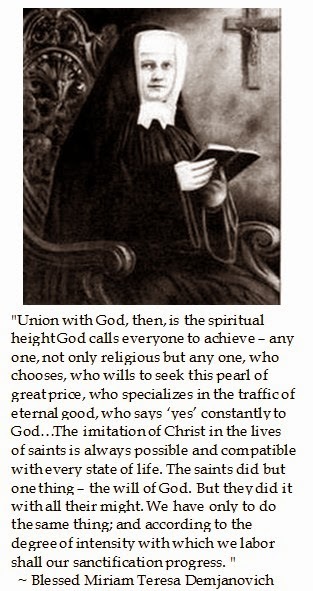 Catholics maintain that it did not negate the Council of Trent but that its canons are non-applicability to concrete Christian bodies in the modern world. The University of North Carolina Chapel Hill is again embroiled in an embarrassing controversy which now impeaches both the Tar Heels athletic as well as academic reputation. To try to settle the matter, the University of North Carolina hired Kenneth Wainstein to investigate scholarly controversies in Chapel Hill. 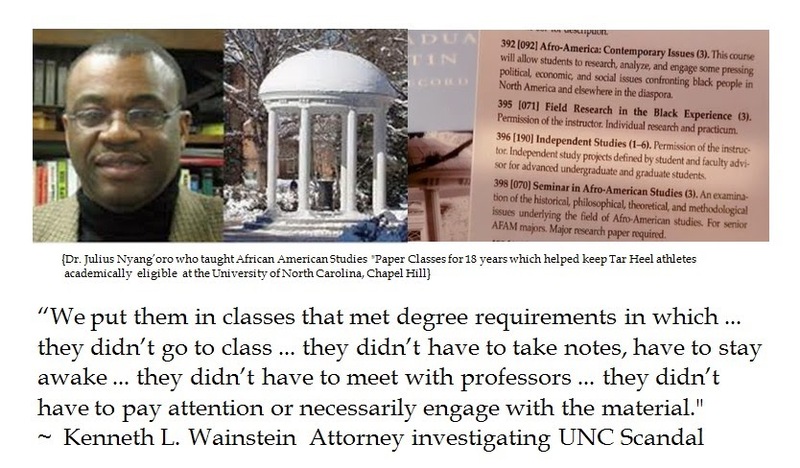 What Attorney Wainstein found was that from 1993 to 2009, Dr. Julius Nyang'oro "taught" an African American studies course at UNC. During those 18 years, 3100 students (among them 1500 Tar Heel student-athletes) took a phantom course with easy grades. In universities with competitive intercollegiate athletic programs, often there are courses which have an easy reputation where many student athletes are enrolled. These student-athletes may also have tutors to make sure that learning is achieved thereby retaining academic eligibility. Dr. Nyang'oro's "shadow curriculum", however, went beyond the pale. Students in his African American Independent Studies courses never had to meet with the professor, or their scheduled classes actually never occurred. The grade was derived entirely from a single paper, which was often plagiarized and padded. Then these paper were given a cursory read and generously graded by Deborah Crowder, a non-academic motivated to help struggling athletes. These academic abuses came to light when Nyang'oro retired in 2012. In December 2013, a grand jury charged Nyang'oro with a felony for taking $12,000 for a class which was never held. These criminal fraud charges were later dropped when Nyang'oro cooperated with authorities like Wainstein, although Chapel Hill did deduct $12,000 from Nyang'oro's final paycheck. For several years, administrators in Chapel Hill were content with the conceit that this phantom curriculum was confined to a couple of rogues in the African American Studies department. But Wainstein's investigation, along with academic advisor whistleblower Mary Willingham has revealed a more extensive and sinister customary operating procedure at Chapel Hill for struggling student athletes. As an academic advisor for athletes, Willingham was a learning specialist designated to help athletes who were not academically equipped for coursework at Chapel Hill to pass their classes. Willingham sometimes employed phonics reading method so her student athlete could spell Wis-con-sin. She admits to violating NCAA by rules ignoring cheating which she saw, but the NCAA never interviewed her and they found that the Tar Heels had broken no rules. Willingham went public because she could not countenance the fraud of functionally illiterate students passing so that they could keep academic eligibility. Willingham expected death threats, but she did not expect UNC to disavow her research that between 8% to 10% of student athletes could not read beyond a third grade level. Attorney Wainstein's hard hitting report disputed the inference that student athlete cheating were isolated incidents and gave credence to Willingham's data that Tar Heel student athletes were poorly equipped to study at an elite research university, but that a system of phantom curriculum kept them eligible. Moreover, UNC officials overlooked the number of independent studies courses coming from the African American Studies department, and how many of them were taken by student athletes. What was telling was how African American Studies secretary Deborah Crowder negotiated with academic officials as to what grade student athletes required to retain eligibility. 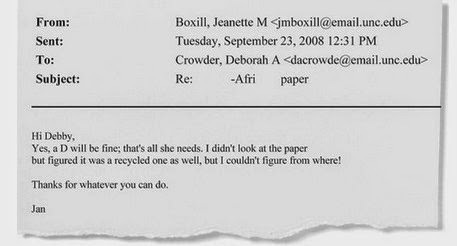 In one case Crowder haggled via e-mail with the Womens' basketball academic adviser about what was the lowest grade that could be given so the player could retain eligibility. Boxhill, who was the former womens' academic advisor, is now the Director of the UNC Parr Center for Ethics. Of course, Boxhill was not available for comment. Wainstein's report reexamined 150 assignments from this "paper course". These three outside academic experts found that 25% were plagiarized verbatim from other sources. It sounds like Montana Senator John Walsh's Masters thesis at the National War College. One of the more egregious examples was a paper about the like and works of Nikki Giovanni and African American culture. This opus simply had a two page introduction and a final page of test and the rest of the paper were transcriptions of poems and texts formatted to fill the margins for the assignment requirements. There is little doubt that the fake class kept many struggling Tarheel student athletes eligible to play. "Debbie Crowder is retiring . . . if you would prefer that she read and grade your paper rather than Professor Nyang'oro you will need to have the paper completed before the last day of classes, Tuesday, July 21st." After Ms. Crowder retired in 2009, the academic average GPA for the Tar Heel football team for the Fall of 2009 dropped to 2.121, the lowest rate in ten years. The Wainstein report shows that there was a culture of corruption at Chapel Hill and was much more widespread than initially thought over the past three years. Not everyone in charge were willing to play along with the shadow curriculum. Current Tarheel Mens' Basketball Coach Roy Williams allegedly felt uncomfortable with these classes and tried to steer his players away from the African American Studies department. However, Rashad McCains, who was part of the 2005 National Championship basketball team, charged Coach Williams of knowing of the fraudulent scheme. The reason why the Wainstein report is different than two prior investigations into the matter is that Wainstein obtained the cooperation of Nyang'oro and Crowder, the two UNC officials at the center of the scandal. So far, the Tarheel phantom curriculum scandal has claimed the scalp of Chancellor Holden Thorpe and forced the resignation of Tarheel Football Coach Butch Davis. The NCAA is also investigating these charges on Chapel Hill cheating. Observers can rightly exclaim that the Tar Heels cheated their way into ten football Bowl appearances and three basketball National Championship under Dean Smith (1993), and Roy Williams (2005 and 2009). The problem is that justice delayed is justice denied. Adjudication (and stonewalling) this situation for so long makes tarnishing the Tar Heels reputation kind of academic. What would be the just thing for the NCAA to do? Ultimately, what should the University of North Carolina do to convince the public that it educates its student athletes rather than exploits them with an ersatz degree in exchange for four years of eligibility? Right now, it looks like Chapel Hill's shadow curriculum is a big public fail. UPDATE 01/01/2015 The Tar Heel "Paper Course" scandal has claimed the jobs of two more prominent Chapel Hill academics. Timothy McMillian, who was a senior lecturer for 17 years in the African American and Diasphora Studies, resigned in the wake of pattern of no-show courses and gift grades. UNC Chancellor Carol Fort also revealed that the university has taken steps to terminate former faculty leader and Philosophy professor Jeannette Boxhill for her role in the student athlete scandal. Despite the fact that termination could take years to adjudicate, Boxhill was named "in light of the extraordinary circumstances underlying the longstanding and intolerable academic irregularities described in the Wainstein Report, as well as her role as chair of the faculty council during a period of time covered by the report." On the day the Wainstein Report was issued, former football counselor Beth Bridger, who steered players towards bogus classes, was terminated from her job at the University of North Carolina at Wilmington the day the report was published. What justice is this? A low level person gets canned on the day of the report, Professor Nyang'oro retires and receives immunity for cooperation with Wainstein, McMillian "retires" after 17 years and Boxhill's involuntary departure from an ETHICS Center attached to UNC is dropped on New Years Eve. Considering Boxhill's biography, will she be eligible for full retirement benefits for time served. And what of the athletic achievements during this period? After the San Francisco Giants beat the St. Louis Cardinals to clinch their right to represent the National League in the 2014 Major League Baseball World Series, two Bay area radio stations made waves. 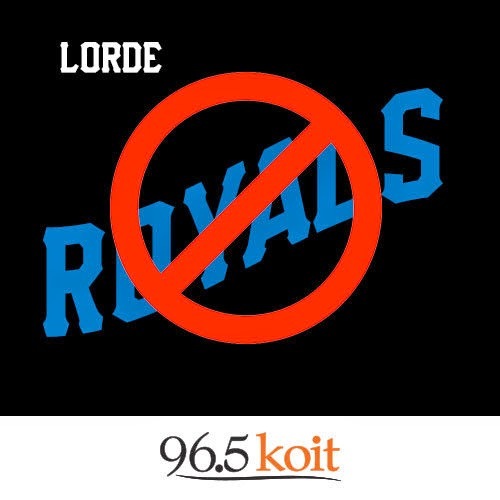 Both KFOG-FM and KOIT-FM announced bans on playing the minimal art pop song "Royals" by New Zealand chanteuse Lorde. This ersatz outrage is a silly attempt to generate civic pride for the a World Championship Series with two wildcard teams. 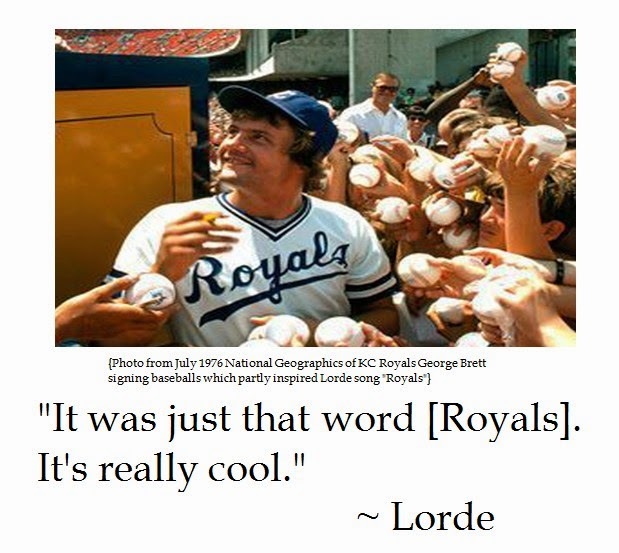 During interviews last year, Lorde became inspired to compose "Royals" in a half-hour writing session after seeing a photo of George Brett signing baseballs. The song is about aspirationalism and uses pop artists' luxurious lifestyles as a counterpoint. One would think that there would be more tolerance in the City by the Bay. Then again, the message might be challenging to those actually listening to the lyrics of the Lorde's song. The radio silence on "Royals" seems like a cheap publicity stunt which jumps on the civic bandwagon while getting earned publicity. But this may be a desperate ploy to generate enthusiasm in San Francisco for the World Series. This is the third time in five years in which the San Francisco Giants have made it to the World Series, whereas it has been a 29 year drought for the Royals. This is reflected in World Series ticket prices on the secondary market. It would not be cheap to see the San Francisco Giants play their World Series home games, averaging around $700 a seat. But in Kansas City, expect to pay between $1,000 to $1250 a ticket to see "Royals" in the World Series up close and personally. 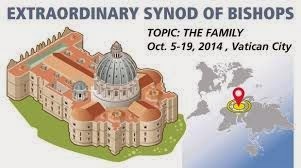 Unfortunately for the faithful not participating in the proceedings, there are conflicting signals coming from the Extraordinary Synod on the Family. For example, Pope Francis encouraged participants to “speak fearlessly and listen humbly.” Pope Francis spoke out against bishops afraid to disagree with the Pope when he said: “This is no good. 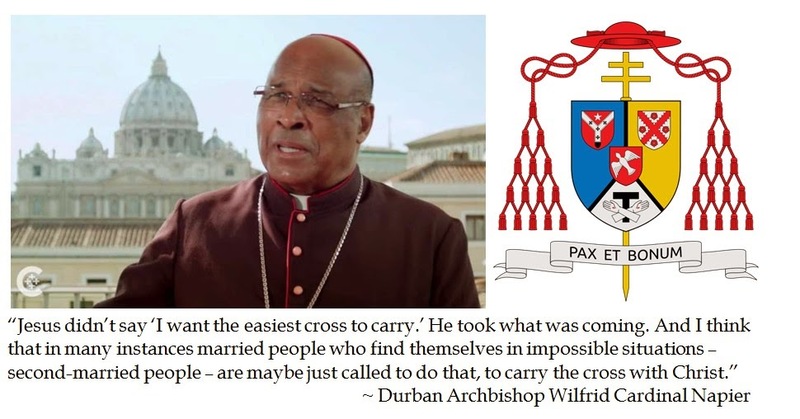 This is not synodality.” Archbishop of Durbin, South Africa Wilfrid Cardinal Napier certainly followed this exhortation. 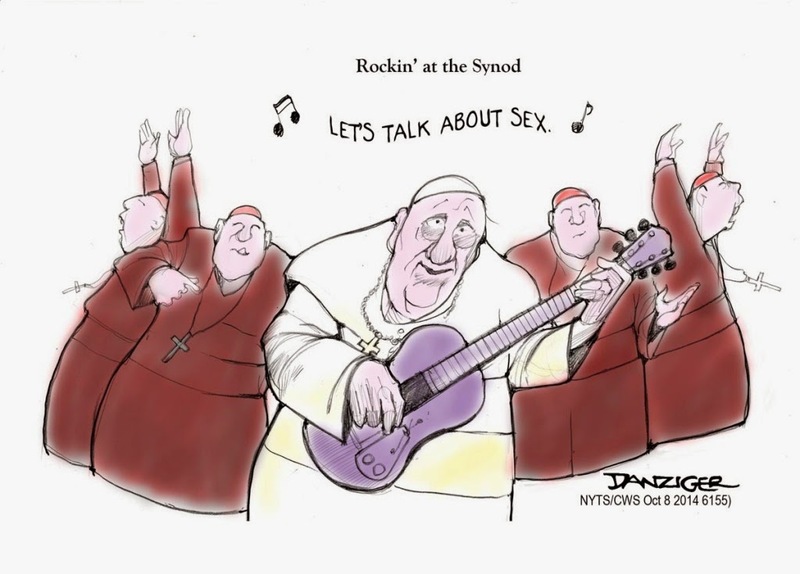 After the relatio was released and not universally welcomed, the Synod did not hold a regular media briefing with questions and answers. 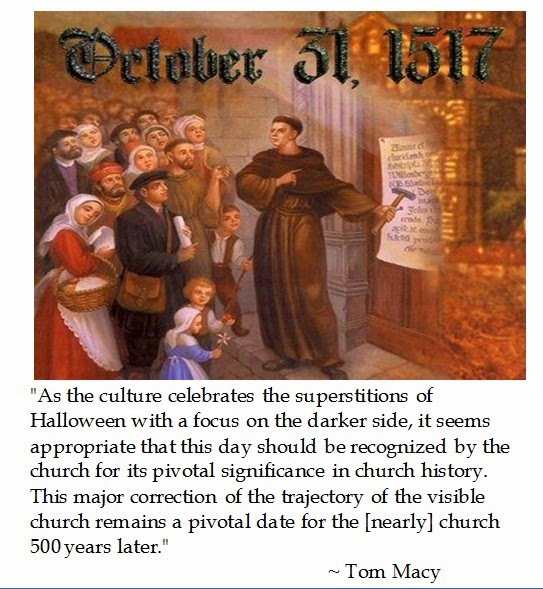 Catholic media sources like the Archdiocese of New York's Catholic Channel on Sirus XM satellite radio went wall-to-wall to correct impressions of the relatio. As the Synod on the Family proceeds, it will be curious how the groundswell of concerns about the interim relatio are corrected. Furthermore, how these disputes in the final relatio are addressed may make a difference. During the Second Vatican Council, Pope Blessed Paul VI wanted there to be unity coming from the Council. Thus language in the final documents required 90% approval, which practically meant that there was ambiguity which allowed for various interpretations. Hence a liberal "spirit of Vatican II" which led to innovations and consequence not anticipated by Vatican II council fathers. 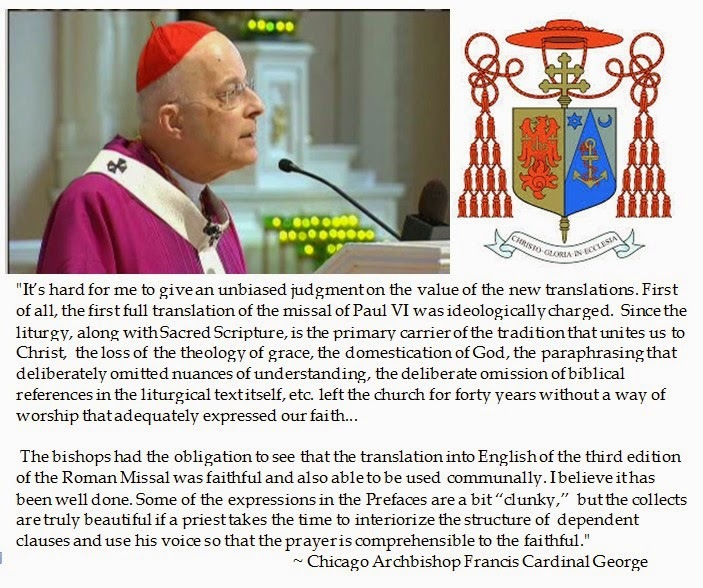 Pope (Emeritus) Benedict XVI would disparagingly label this as a hermaneutic of rupture". 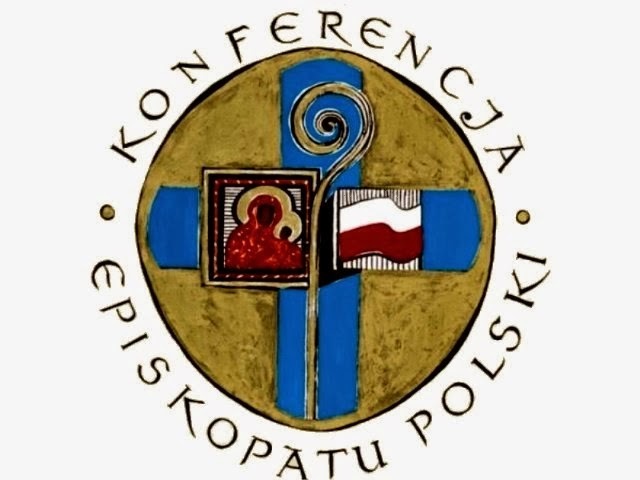 During a February 2014 Consistory in anticipation for the Extraordinary Synod on the Family, Archbishop Walter Cardinal Kasper (President Emeritus of the Pontifical Council Promoting Christian Unity) suggested that there ought to be some sort of accommodation for Catholics who are civilly divorced and who remarry. 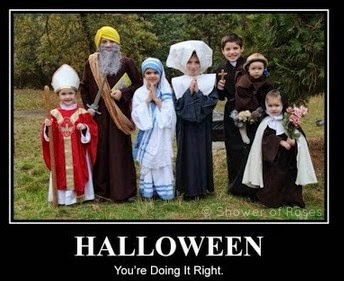 This sort of gradualism would allow such Catholics to receive communion after a period of penance. Cardinal Kasper's modest proposal received more creedence as the 80 year old Cardinal had been tagged as Pope Francis' theologian, as the Holy Father specifically praised Kasper in his first Angelus as a clever theologian, especially for his book Mercy: The Essence of the Gospel and the Key to Christian Life (2014). Archbishop Winfild Cardinal Napier (of the Archdiocese of Durban, South Africa) wondered if German Catholics who are civilly divorced and remarry receiving the sacrament would be parallel to a man in a polygamous marriage receiving the sacrament. Napier seemed to support the traditional notion of fortitude or "carrying the cross with Christ".